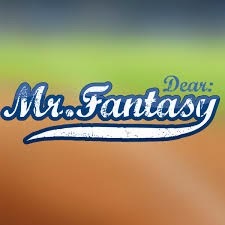 Every year the big name prospects with imminent arrival to the big leagues are discussed incessantly by fantasy outlets. Often times their value becomes inflated when you consider many won't see the big leagues until halfway through the season and there is no guarantee their production will be impactful to your fantasy season. What's worse is that you may have to suffer a decent draft pick or draft dollar to obtain them. I am traditionally very tough on grading young players in single season leagues for these very reasons. Clearly in dynasty leagues it is about calculated risk taking. If you can get away with stashing a young rising star like Kris Bryant, George Springer or Jonathan Gray for a reasonable cost, by all means do so. If however the market moves beyond reason for them, there are some lesser known prospects that might make a difference in the not so distant future who will cost you next to nothing in this year's draft. As I say in the Fantasy Black Book '14, rookies need a combination of ability and opportunity to be worthwhile fantasy assets. You must also understand the economics of the game which means the Mark Appel's of the world won't be rushed anytime soon because teams like Houston are not contenders and are hesitant to "start the clock" on a player's arbitration years and free agency. Many teams have holes and these young players are either on the 40 man rosters or in camp this spring with their stocks quickly rising ready to fill them. Here are some names that have a legitimate shot to make a difference soon. Kyle Crick might get more press, but he still has to get his walks under control. 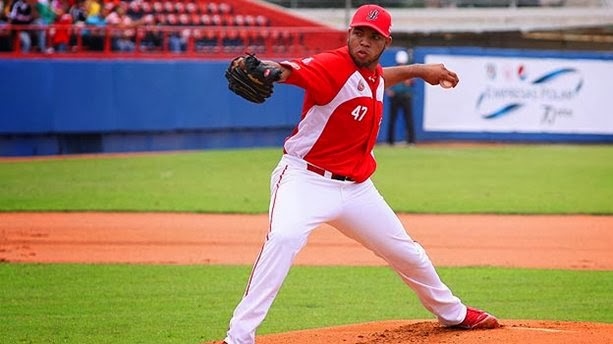 Enter Edwin Escobar, a 22 year old lefty with impeccable control and more polish than Crick. In 2013, Escobar posted a 2.80 ERA with a 1.10 WHIP, 10.2 K/9, 2.1 BB/9 and a 4.87 K/BB ration over 128 innings between A+ and AA last year. Escobar was sent to the winter league to continue to build arm strength adding another 26 innings there. Clearly the Giants are preparing him to reach 170-180 innings in 2014 which would make him useful to the big club. Those innings will start at AAA, but with Ryan Vogelsong coming off a dreadful year and Tim Hudson approaching social security, there is a very good chance Escobar is the first name called up if a spot opens in the rotation. In dynasty leagues, he is a terrific lost cost/high reward investment. He has Cliff Lee upside if he continues the path he is on. At 6'3" 250lbs., Aguilar is an imposing presence in the box. The Indians need a middle of the order bat in the worst way and Nick Swisher is not a great defender at first. Moving him to the outfield would benefit the team all the way around. Enter Jesus! Aguilar hit only 16 homers in AA last year, but he drove in 105 runs in just 130 games. As impressive as that RBI total is, its Aguilar's winter league numbers that have scouts raving about his development taking the next step forward. Over 59 games this offseason, Aguilar hit .327 with a .403 OBP and a .597 SLG%. That is an OPS of 1.000 with 18 homers and 50 RBI. He worked closely with veteran Bobby Abreu while there and clearly something clicked. It would be surprising to see him make the opening day roster, but if he carries over this progress to AAA, you have to assume he will get a look sometime around the all star break. When J.P. Arencibia and Geovany Soto are the only thing standing in the way between you and the big leagues, it's only a matter of time. Nicholas caught the attention of the media with his two homerun, MVP performance in the AFL All Star Game this offseason. He was originally drafted as a catcher, but was then moved to first base. However, now that newly acquired Prince Fielder is locked into that spot, the Rangers see an opportunity to shift Nicholas back behind the plate. His makeup is off the charts and his leadership qualities fit the position. He was slow to develop, but in AA last year Nicholas' line of .289BA/.831OPS/21HR/91RBI in 136 games showed he has the chance to be a solid run producer. He will likely start the year at AAA, but he is an injury or slow start by the aforementioned Ranger catchers away from getting a shot. Backstops who can swing the bat and play in a favorable hitter park are worth a look. Johnson has always been a victim of bad timing. In 2012, forearm pain caused his draft stock to tumble and the Cubs took advantage. Finally, time is on his side as the Cubs desperately need some young arms to pop in their system to compliment their killer bats. In his first full season of pro ball, Johnson threw 118 innings over two levels of A ball with a 2.74 ERA and a 124K/23BB mark to show for it. Johnson is going to start the year at AA, but in dynasty leagues where you have multiple minor league slots, Johnson is an under the radar arm who will be on the fast track as the Cubs and GM Theo Epstein look to make their move in the NL Central over the next two years. If he is lights out in AA, there is a chance you may see him in the bullpen in September to get his feet wet. Innings limits will hold him back from 2014 impact, but 2015 he could be primed for a rotation spot. At 5'9" 185lbs., Stroman does not posses your prototypical power pitching frame. However, his AA numbers in 2013 (20 GS, 9-5, 10.4 K/9, 2.2 BB/9, 4.78 K/BB, 1.13 WHIP) spoke volumes. The Jays are in need of some power arms at the big league level. He only reached 118 IP last year, so clearly 150 would be about his max, but Stroman is a young arm with upside if you miss out on the big name minor league pitchers in your dynasty/minor league drafts. More of a future investment type arm, but an intriguing one at that. Now Davidson already has service time in the big leagues unlike the rest of this group, as well as a legitimate shot at the third base job with the White Sox out of the gate. In his cup of coffee with the D'Backs last year, he stumbled over 31 games before being dealt this offseason. However, this 23 year old has legitimate power that will play in a notorious sluggers park like Chicago. He does swing and miss, but he still managed an OBP of .351 for his minor league career. The hot corner has been a black hole for the White Sox for years and regardless of whether or not he wins the job out of spring, Davidson will get a crack at it eventually. In every stop from A ball to AAA over the last three years, he put up very similar numbers and that consistency is encouraging. Often times young players hit a wall when they get promoted to the next level. Davidson was never phased and displayed his power with a blast in Citi Field last year during the MLB Futures Game. He is one to watch.